At Grossman Chiropractic & Physical Therapy, we want the best for our patients, which is why we also offer same-day appointments to help you find relief when you need it most. You’ll receive the best possible results from our new state of the art facility and diversified menu of services. But don’t take our word for it – come see for yourself why we were voted among New Jersey’s best providers in NJ Top Docs! In addition to world-class chiropractic care, our practice now offers outstanding physical therapy services to help you boost your results and maintain wellness. Patients benefit greatly from coordinated care, and now you can receive your adjustments and your physical therapy in one visit for added convenience and superior outcomes. As of May 2014, holders of commercial driver’s licenses (CDLs) are required to obtain a physical examination from a Medical Examiner certified by the New Jersey Department of Transportation. Dr. Grossman is certified as a Medical Examiner and can perform a physical examination that meets the requirements of both the New Jersey Department of Transportation (NJDOT) and the Federal Motor Carrier Safety Administration (FMCSA). Whatever your current condition, we want to do everything we can to get you the care you need. We understand that when you’re in pain, you need to get well . . . quickly. Our multi-disciplinary approach offers chiropractic and physical therapy for powerful wellness that’s beneficial for patients of all ages. 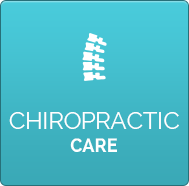 Ready to learn more about how chiropractic care can improve your health? 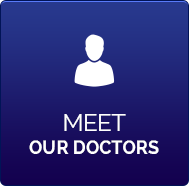 Contact our practice today for your first appointment. We look forward to meeting you! This practice was my first experience with my chiropractic needs. The service and the outcome for my lower back issues has been outstanding. Recommend to all! I was very nervous going into my first appt with a chiropractor ever, but Dr Grossman put me at ease and answered all of my questions – and in the process gained a patient for life. It was a great experience overall! 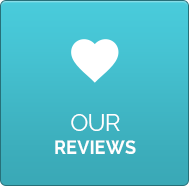 I was very impressed with how kind and friendly the staff is there. Made me feel very comfortable. Double thumbs up! Very friendly and explains everything in detail. Would highly recommend chiropractic here by Dr Adam Grossman. Doctor and staff were very friendly, courteous and professional. A totally positive experience. 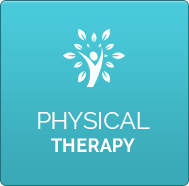 Sam Kolock has been extremely professional, thorough and very helpful throughout my physical therapy. I should have seen her sooner! Dr. Sam was incredibly knowledgeable, extremely supportive and encouraging. She answered all of my questions and worked hard to help me get better. It was my first time with a chiropractor and I can’t wait to go back! Dr. Grossman was very informative and helpful! Thank you Dr Grossman for the continuing care and helping me on my healing journey. I felt very comfortable and trusted the practitioner on first visit… I’m confident my issue can be resolved. Very pleasant experience overall! Highly recommend Dr. Grossman for your Chiropractic Needs. He gets RESULTS! Everything was explained very well. I was very impressed with the overall treatment and information that I received today!